Last week proved to be another tough week for the Weber State University women’s basketball team as it dropped two more games and fell to 2-22 for the season. Thursday night, the WSU Wildcats rolled into Cheney, Wash., hoping for a win against the number two ranked Eastern Washington University Eagles. Five weeks earlier, EWU rolled over WSU at the Dee Events Center, winning 72-60 led by senior forward Brianne Ryan’s 32 points and 13 rebounds. The second meet seemed eerily similar for the Wildcats as they were behind the entire game. Just seven minutes into the game, EWU led by 10 points, and by halftime, the Eagles had increased their lead to 20. The second half did not fare better for WSU as EWU continued its dominance and built up a 30-point advantage. The Wildcats went on a run and managed to cut the deficit to only 20, but the Eagles squashed the Wildcats’ rally, regaining the 30 point lead. Nothing seemed to click for WSU despite its best efforts, and EWU won 78-45. Once again, the EWU Eagles were led by Ryan, who scored 33 points in the blowout. The 33 point loss was the worst defeat for the Wildcats since December 18, 2009, when WSU lost to the University of Wyoming Cowgirls 78-40. Shooting was a major problem for the Wildcats. They were 9-29 shooting from the field in the first half and 7-30 in the second half. Junior Shawnte Taylor’s 14 points and six rebounds proved to be the highlight of the game for the team. Saturday night, WSU hosted the Northern Arizona University Lumberjacks in the “Think Pink” game. Players and fans alike wore pink as part of a breast cancer awareness initiative sponsored by the NCAA and the Women’s Basketball Coaches Association. The Play4Kay Initiative is named in honor of former North Carolina State University Coach Kay Yow, who passed away in 2009 after a 22-year-long fight with breast cancer. WSU joined over 1,800 colleges and universities nationwide in an effort to raise breast cancer awareness. WSU got off to a hot start, as they quickly took the lead 22-12 just nine minutes into the game. Senior Caela Mohre and junior Amanda Hughes led the team to its early lead, but by halftime, the Lumberjacks had managed to tie the game at 40. WSU got off to a slow start in the second half, though, shooting only 3-10 from the field and causing the team to fall behind 62-53 with 12 minutes left in the game. NAU managed to maintain its lead throughout most of the second half, leading by 14 at one point. The Wildcats battled back, and with 55 seconds left in the game, they managed to tie the score at 81. Moments later, Hughes made a free throw to give WSU the lead. However, it was not enough as NAU managed to score with less than 10 seconds left and won the game 85-82. 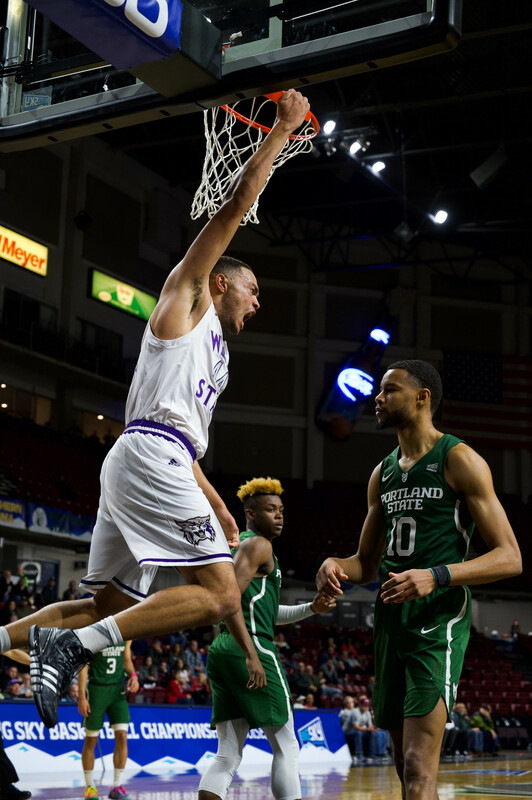 Saturday’s loss came two weeks after a similar last-second loss for the Wildcats against Idaho State University, which ended 54-52. Mohre, Hughes, Taylor, junior Megan Patterson and senior Mikell Woodfield all scored double-digit points on Saturday. Patterson led the team with a season-high 23 points while tying a season high with five 3-pointers. Hughes recorded her eighth double-double of the season, scoring 20 points and pulling down a career-high 24 rebounds. After the game, Head Coach Bethann Ord gave high praise to Hughes’ performance. Hughes, however, focused more on the team’s loss rather than her statistics. Hughes was not alone in her sentiments. Teammate Mohre also expressed disappointment, saying that the team could feel that it had the win in hand. Mohre remained positive, though, and talked about working hard to get a win. 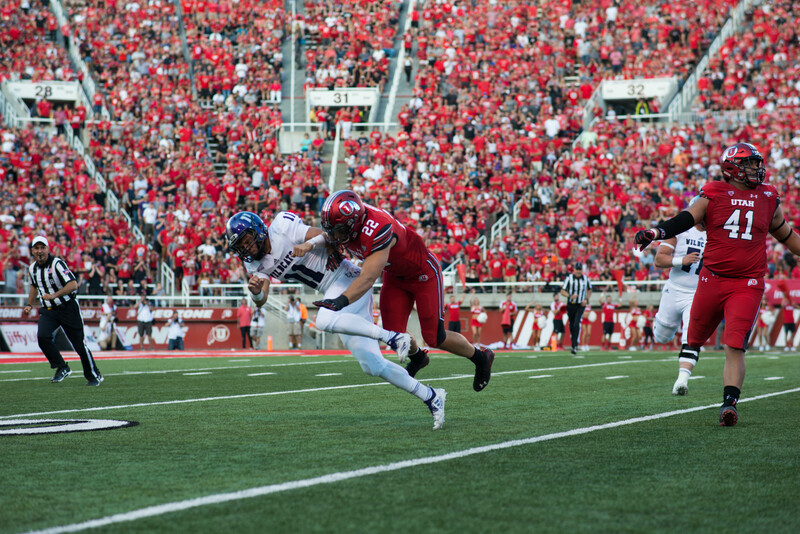 The Wildcats’ next game is on Thursday when they’ll host the University of Montana. After that, the team will face off against Idaho State University for their last road game of the season.